Age, gender and body mass index (BMI) are commonly described risk factors for the development of eating disorders. However, the magnitude of these factors (individually and together) is still not well-defined in some populations. 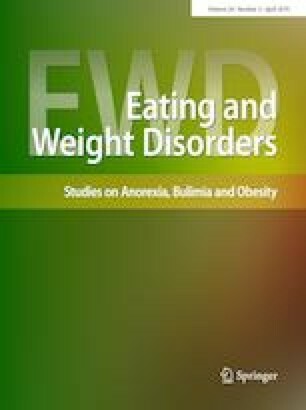 A systematic search was performed for studies that reported the prevalence of eating disorder risk among medical students using the Eating Attitudes Test-26 (EAT-26) and age, gender and BMI as risk factors. We included studies published in English peer-reviewed journals between 1982 and 2017. A total of 14 studies were included in the analyses, and the meta-regression analyses were performed using mean age (years), gender (proportion of female subjects), and mean BMI (kg/m2) as moderators with the risk of eating disorders measured using EAT-26 as an outcome variable. Four interaction terms were created (1) age × gender (2) age × BMI (3) gender × BMI and (4) age × gender × BMI to assess if two or more independent variables simultaneously influence the outcome variable. Utilizing the EAT-26, the pooled prevalence of at risk for eating disorders among medical students (k = 14, N = 3520) was 10.5% (95% CI 7.3–13.7%). Meta-regression model of age, gender and BMI alone revealed poor predictive capabilities. Meta-regression model of age × gender × BMI interaction revealed statistically significant results with a covariate coefficient of 0.001 and p value of 0.044. Results from this sample of medical students provided evidence for the role of interactions between risk factors (e.g., age × gender × BMI) in predicting individuals at risk for eating disorders, whereas these variables individually failed to predict eating disorders. Level I, systematic review and meta-analysis. HJ and ZS designed the study. HJ coordinated data search, data entry, data cleaning and performed statistical analyses. HJ and ML wrote the first draft, ZS and MF provided intellectual contributions to strengthening the manuscript and suggested additional data analyses. All authors provided critical revisions of manuscript and approved the final version. No funds were received towards the study at any stage.